The Willits House is a project made by Frank Lloyd Wright, one of the important architects of the 20th century. According to the Frank Lloyd Wright Building Conservancy, “In 1991, the AIA [The American Institute of Architects] named Wright the greatest American architect of all time”. Besides not being his most famous work, the Willits House express Wright’s interest in the traditional Japanese architecture and in the simple way of living. Wright’s interest in Japanese art started on the late 1880s, when he started to work as an art dealer as a side job, selling Japanese woodprint blocks to his clients. In 1905, when he decided to make his first trip outside of America, he decided to visit Japan, spending two months touring natural and historical landmarks. In January of 1917, Wright took a residence in Tokyo to work on projects in Japan. Apart from being designed in 1901, before his first trip to Japan, the Willits House received a lot of influences from the traditional Japanese house style. The Japanese traditional style was an architectural design that took place before the modernization made in the Meiji era (1868-1912), an era that Japan decided that it should modernize its architecture and engineering to become an industrialized country. This style is characterized by its feeling of simplicity and serenity, the attention to details, the use of wood structure and the use of wood and paper panels as walls and doors. The traditional Japanese houses are called minka, kominka or ko-minka. These houses are now slowly disappearing, partially because they are made of a very flammable material and partially because they aren’t appropriate for the current Japanese lifestyle. Nevertheless, they were very common in the Japan that Wright knew and visited. To make these houses, the Japanese builders used a carpentry technique that made possible to build a house without the use of nails, with just perfect fits between wood pieces and mooring pieces together. This way of build makes it necessary to have attention to every detail of every piece used in the construction of the house so they attach together strongly. The Willits House is a house that Frank Lloyd Wright designed in 1901 for Ward W. Willits. This house received a lot of influence from the Japanese minka that we saw here before. The first characteristic that we see, analyzing the side view of the Willits House, is the white color on the wall and the wood framing the windows, mimicking the serenity found Japanese architecture and the fusuma that works as the door and wall of the minka house. We also can see a large eaves on the top of the building that are common on Japanese traditional architecture. Going inside the house, we see a lot of wood frames working as structural element, as also a way to mimic fusumas, or as way of incorporate glass to make some rooms feels more permeable. Wright also used panels made of wood and glass as doors, using the glass as the Japanese use paper to fill their fusuma. We can also see that the rooms are spacious and very clean, helping to creating the feeling of serenity that are common on traditional Japanese architecture. Wright was very interested in the Japanese culture and architecture. In this project, he could experiment some ways to incorporate his passion on the american house and in his architecture design. As we saw, this project is inspired in the Japanese minka, but also has adaptations made to work in the american style and way of living, like the use of glass and western wall material, instead of paper. These experiments were futher used on more of Wrights projects, defining part of the Praire House Style and the overall Wright style. Frank Lloyd Wright Building Conservancy. 2007. “About Frank Lloyd Wright”. Retrieved April 04, 2018 (https://www.savewright.org/who-we-are/about-frank-lloyd-wright). Kyoto-Araki Komuten Sukiya-Japan. “Introducing Ko-Minka”. Retrieved April 05, 2018 (http://sukiya-japan.com/minka/index.html). Tsunagu Japan. “Simple yet beautiful: Japan's traditional homes, kominka”. Retrieved April 04, 2018 (https://www.tsunagujapan.com/simple-yet-beautiful-japans-traditional-homes-kominka). Евгений Арсенюк Pinterest Account. 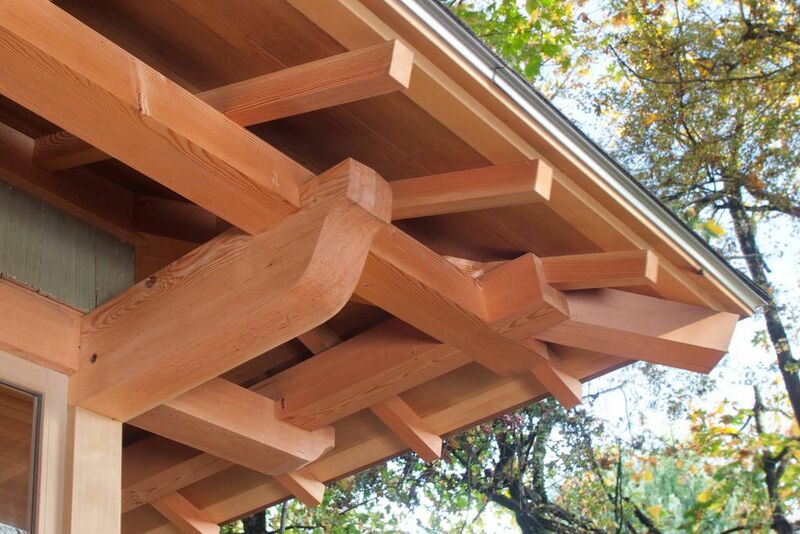 “Japanese roof frame”. Retrieved April 05, 2018 (https://i.pinimg.com/originals/4a/f6/1e/4af61e02575a4c49430837c947396764.jpg). Japanese Architecture and Art Net Users System. “Fusuma”. Retrieved April 05, 2018 (http://www.aisf.or.jp/~jaanus). Wiki Architecture. “Ward W. Willits House”. Retrieved April 04, 2018 (https://en.wikiarquitectura.com/building/ward-w-willits-house).